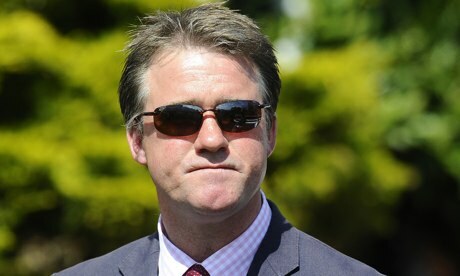 Trainer Gerard Butler has been handed a five-year disqualification following a British Horseracing Authority inquiry. Newmarket-based Butler attended a disciplinary panel hearing in London last month after admitting some of his horses had been treated with the joint treatment Sungate, which contained an anabolic steroid, under the advice of his vet. However, Butler later admitted to seven charges, with the most serious related to his failure to look after the interests of four horses in his care, and he will be banned from the sport until 2018. Butler actually admitted administering to four horses a substance called Rexogin, using a method only allowed to be carried out by qualified vets, which contains the anabolic steroid stanozolol and is designed for use in humans. He also admitted to failing to keep a record of treatments and the panel summarised that his actions were “an appalling breach of his duty to look after the interests of the horses in his care and amounted to conduct that was seriously prejudicial to the integrity, proper conduct and good reputation of horseracing in Great Britain”. Much of the evidence came via a visit to Butler’s yard by Dr Lynn Hillyer, a veterinary advisor (Medication Control) to the BHA, on February 20, and later examination by Hillyer, who was concerned about the administration of the Sungate drug whilst a horse was in his care. Sungate also contains stanozolol and Butler volunteered details of further treatments that had been administered to a number of horses in the stable. At the hearing, though, Butler revealed for the first time that he had purchased the stanozolol online from the UK Steroids Pharmacy, and did not in fact purchase Sungate but a preparation called Rexogin which contained stanozolol at a concentration 10 times that of Sungate. He admitted buying five boxes of the drug, each containing 10 vials, and kept the purchase secret. Butler also confirmed that he injected the fetlock and knee joints of the affected horses on two occasions in December and January, taking no veterinary advice beforehand. The panel decided that Butler’s trail of actions in essence constituted a single course of conduct over a period of time, but he had disregarded racing’s rules and laws. They felt the most significant breach was to the decision to carry out the intra-articular administration of the stanozolol to the four horses himself, without even knowing the true source and nature of the drug he purchased over the internet. Butler’s ban begins tomorrow and he will be suspended until December 4, 2018 inclusive. He has a period of 48 hours to arrange the relocation of his horses.